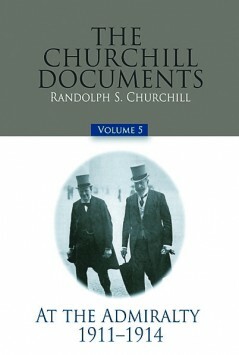 Volume five of The Churchill Documents begins with Churchill’s prominent part in the Liberal Government’s attempts to introduce Home Rule for Ireland. It continues with his spirited opposition to Votes for Women, during which he incurred the anger of the militant wing of the Suffragettes. It continues with his extraordinarily active and creative years as First Lord of the Admiralty, ensuring the ability of the Royal Navy to defend Britain and its colonies in the event of war, supervising the transformation of the fleet from coal-burning to oil-burning ships, securing for the British Government a majority stake in the Anglo-Persian Oil Company, pioneering the Royal Naval Air Force, and learning to fly, despite being almost twenty years older than the average pilot of those days. Churchill’s letters to his wife provide a continuing insight into his most private feelings, including his reflections on the sinking of the Titanic. The family man is also on view, including the arrival and early years of his two children, Diana and Randolph. His wife’s anguish at the dangers of his flying lessons is also a powerful and moving motif, as he relished the new art of flying and wanted to achieve his pilot’s certificate. But following the deaths of two of his flying instructors in air accidents, he deferred to her plea to give up flying altogether. 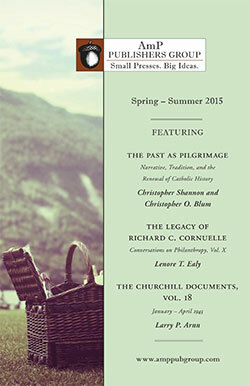 The Royal Navy, its needs and its potential, are the main thrust of Churchill’s letters and memoranda in this volume. These documents show how determined he was not to see Britain vulnerable to the growing naval power of Germany. But his instinct for conciliation is seen as well, in his two unsuccessful attempts to secure a halt to the naval arms race between Britain and Germany. Randolph S. Churchill, the only son of Winston Churchill, was born on May 28, 1911. Educated at Eton and Christ Church Oxford, he became a widely read journalist in the 1930s, reporting at first hand on the German elections of 1932 and warning of Hitler’s military ambitions. In the 1930s he fought three vigorous but unsuccessful campaigns to enter Parliament. In the Second World War he served as an intelligence officer at General Headquarters, Middle East, and in the Special Forces in the Western Desert. In 1944, he volunteered to the parachute behind enemy lines to serve as a liaison officer with the Yugoslav partisans. For his war services, he was awarded the MBE (Military). For the five war years he was a Member of Parliament for Preston. He was three more times an unsuccessful candidate — in 1945, 1950, and 1951. Between 1938 and 1961 he edited six volumes of his father’s speeches. His own books include The Rise and Fall of Sir Anthony Eden; Lord Derby, King of Lancashire; The Six Day War, a history of the six-day Arab-Israeli war of 1967, written with his son, Winston; and the first two main and five document volumes of the biography of his father: Youth, 1874–1900 and Young Statesman, 1901–1914. A trustee of the Winston Churchill Memorial Trust and an Honorary Fellow of Churchill College, Cambridge, Randolph Churchill died at his home Stour, East Bergholt, Suffolk, on June 6, 1968.